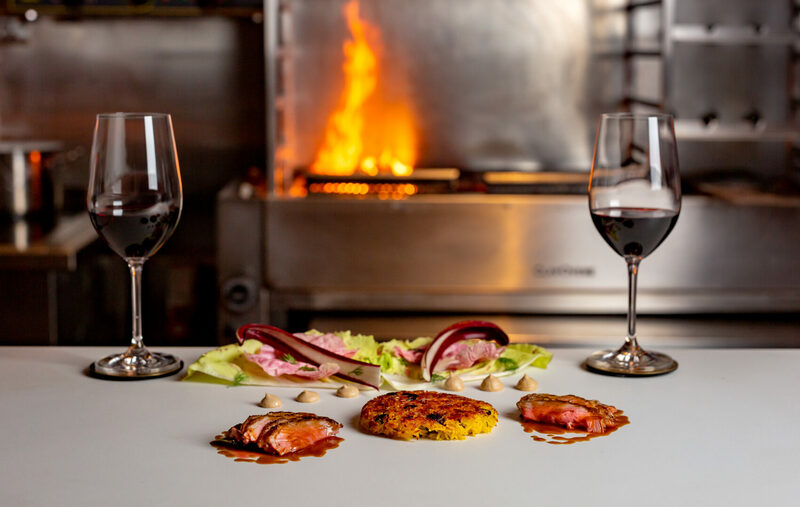 New London restaurant Kebab Queen, which is opening this month, serves kebabs that are a long way from what you familiar with – instead, they come as part of a refined, seven-course tasting menu that definitely won’t be eaten on the pavement at the end of a big night out. 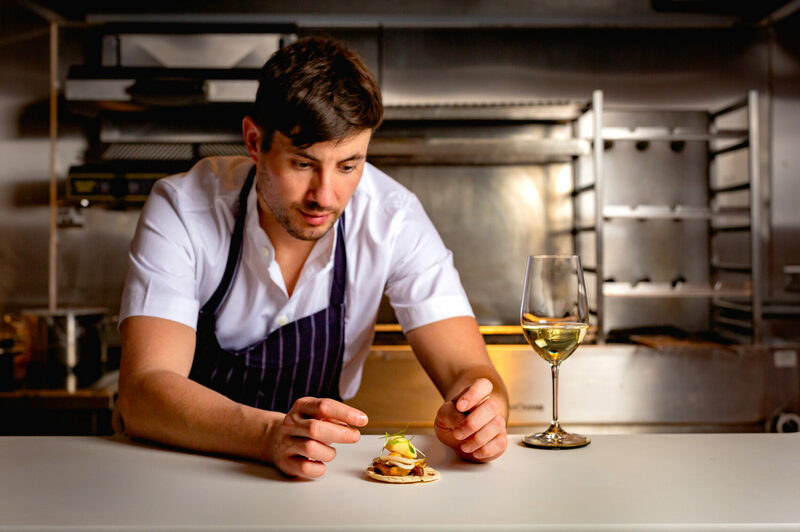 Kebab Queen, in London’s Covent Garden, is being launched by chef Manu Canales, who was previously a sous chef at Le Gavroche (a two Michelin star restaurant from Michel Roux Jr), along with partners Stephen Tozer and Ed Brunet. 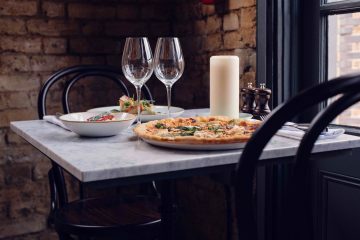 Canales also runs Le Bab (for refined, contemporary kebabs) and Maison Bab (next door to Kebab Queen, for bold, rustic kebabs) but after four years of development he is branching into fine-dining kebabs. 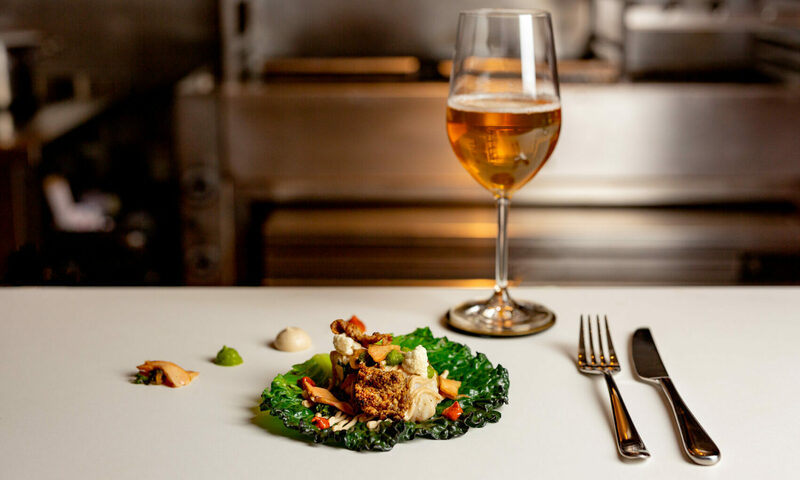 With this new opening, Canales is fusing his love of Turkish and Middle Eastern cuisine with rigorous Michelin training, elevating what is typically eaten as street food into something far more high craft. 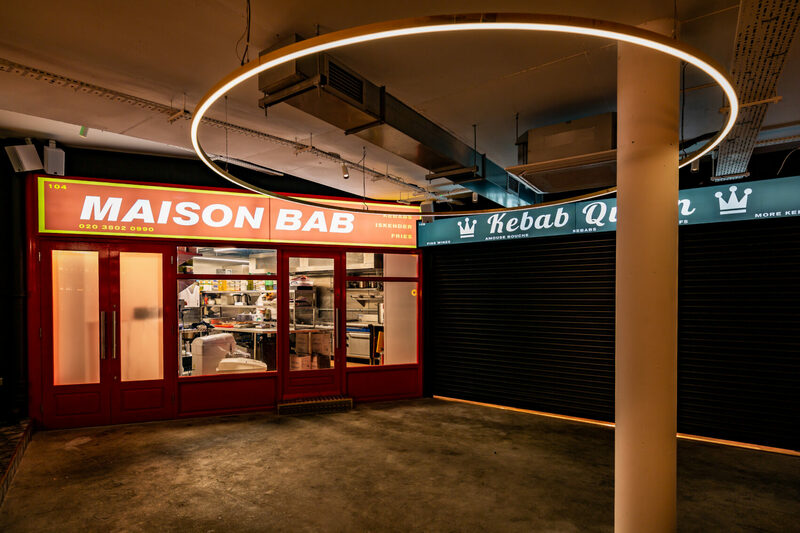 From the outside it might look like any other kebab shop but at Kebab Queen, which only has space for ten people at a counter facing the kitchen, diners will be served seven-course tasting menus directly from the wood-fired grill on to a bespoke, heated Dekton countertop. What’s on the menu at Kebab Queen? First up is foie gras kebabito – a miniature, two-bite kebab of barbecued foie gras. Next, the doner kebab becomes a doner risotto, an intense risotto made with lamb jus and finished with shavings of lamb tongue. Third is a chargrilled shish kebab of monkfish, monkfish liver and chicken skin that is presented a charred cabbage leaf. Fourth comes rum-aged, spit roast Fesenjan duck. Inspired by Iran’s Fesenjan stew, it is served with a crust of crisp Persian rice, intended to be pulled apart with the fingers. To finish, there are freshly baked, sticky milk buns filled with caramelised cream and topped with crème fraiche sorbet. Unfortunately, no vegan or vegetarian options are available. Kebab Queen isn’t the only one to be taking this kind of food to the next level. Yeni in London’s Soho opened in January and excels in dishing up posh Turkish food. The menu, which changes daily, features the likes of pan fried 12-month feta, samphire, spiced honey and hazelnut; octopus, bulghur, sour cherries and labneh; and çig kofte fillet tartare with sumac molasses. Oklava and Kyseri are also specialising in modern Turkish food. Kebab Queen is open Wednesday to Saturday from 7.30pm. Seven-course tasting menus plus petit fours cost £60. Drink pairings are an extra £40. Kebab Queen, 4 Mercer Walk, London.